Zidane’s return might give the Frenchman the power to attempt to fix some of Real’s issues on the pitch, but off the pitch is another matter entirely. 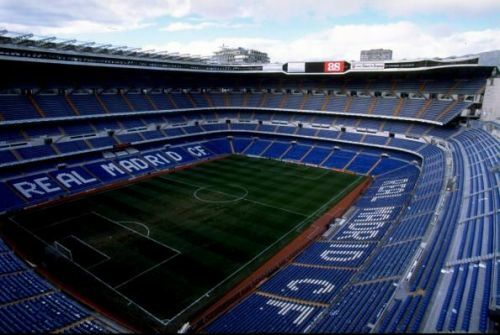 Club President Florentino Perez remains in firm control in that area, and unless Zidane wields incredible influence over him, it looks like he’s still going to push through with the re-development of the Bernabeu – a move that’s likely to cost the club around £515m. While the stadium will undoubtedly be cool – the world’s best, according to Perez – with a metallic ‘skin’ that can display legendary Real moments from over the years, is it really going to be worth taking on so much debt? That’s up for debate, particularly when Real’s squad is at the stage where it probably needs rebuilding to replace ageing stars with new signings. According to reports, Real’s loans will probably take somewhere around 35 years to pay off, meaning the club could well be in for a period of austerity in the near future. Sure, Perez might’ve spoken about the potential of signing Kylian Mbappe during the press conference in which Zidane was revealed, and rumours surrounding a move for Neymar might be swirling around, but could Real really afford to break the world transfer record for either with the stadium refurb coming up? And if that’s the case, then how can Zidane really fix Los Blancos’ rusty squad and the problems that come with that? The truth is that he may not be able to do so.